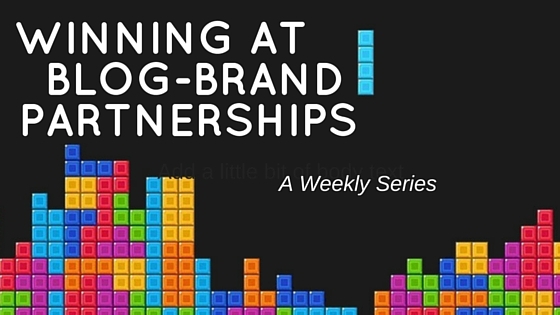 Winning at brand-blogger partnerships is a weekly series from Marketing Profs on how brands are teaming up with bloggers to create winning influencer marketing strategies. Targeting the most enterprising, successful, and on-point bloggers is a must for those in the fashion, skincare, and beauty industries. Influential beauty bloggers have clout in the industry, firsthand experience, and a wealth of industry connections. Next, do your research. You don’t want to choose just any beauty bloggers, as they all have their particular interests and sea of followers. Streamline your sources to select only those with backgrounds and interests related to your own needs. Now that you have a pool of potential beauty bloggers, what do you do in order to make valuable connections. Every blogger attempts to fill a niche in the beauty industry. Therefore, if you want to connect with beauty bloggers, your first goal must be to understand your own viewpoint. Are you looking for anti-chemical bloggers or those with the most aggressive style advice? Do you want full-on glamour bloggers, or do you prefer to have guest bloggers who are all granola? To gain an in-depth understanding of these bloggers, go to their bank of knowledge: their blog. You are showing that you’ve read their blog, which is the first and foremost best way to impress any beauty blogger. You note the type of beauty material you are most interested in, in relation to the kind of blog posts they have written about. This can break down the barriers between bloggers and businesses, as the blogger gains an immediate understanding of how their interests can benefit you. This establishes the bonds of trust. Any online relationship depends on trust, and bloggers want to be able to trust that you as a business are worth their time. Working with beauty bloggers is one of the best ways to advance your online audience and marketing opportunities. If you take the time to source the best bloggers, while utilizing their assets, your business will see great return on your investment. Do you have any tips when it comes to working with beauty bloggers? I would love to hear from you in the comments below! This post in our series on how brands are working with bloggers is from Miranda Brumbaugh at MarketingProfs. MarketingProfs is a rich and trusted resource that offers actionable know-how designed to make you a smarter marketer.